Even though he is retired and for the most part living the life of Riley (whoever that is), Dottore Gianni confesses to a very busy first three months of 2014, producing much ado about very little, doing plenty of nothing most of the time. 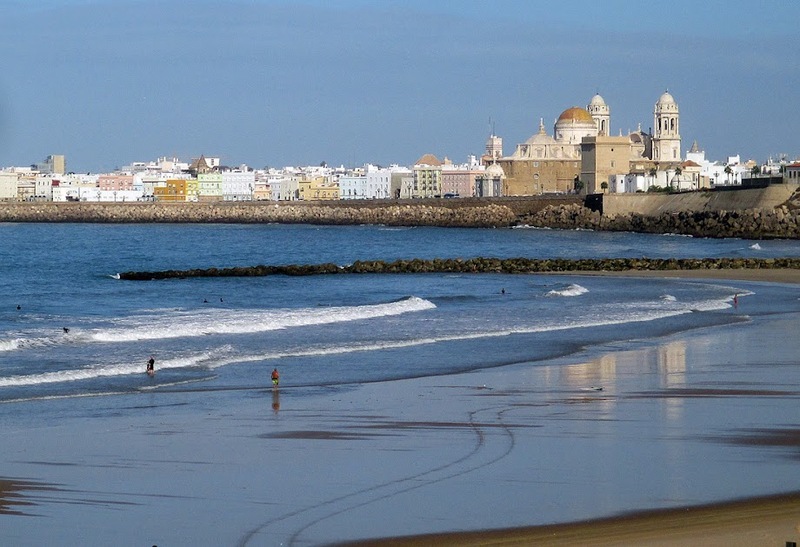 Some of that busy-ness includes blog posts that have more to do with the subject of this blog - travel - than with the symphony reviews he has been writing to learn a bit about music and to keep up his writing chops. At the same time he is preparing for a journey to Ireland in just under two months, and as usual has been busy planning, perhaps even micro-planning the trip in addition to doing a considerable amount of research on the country. Alas, the good doctor's readers may find themselves a bit non-plussed at the lack of KWALITY music criticism available to them in the blog recently. 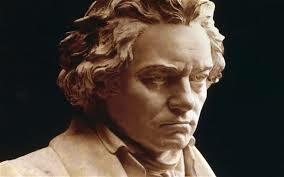 In fact he has written not a word about the last three concerts he has seen the Greenville Symphony (GSO) perform. He is pleased to announce that alleviation is at hand! He will today describe in as brief a style possible (hmmmm...), while attempting to retain his usual masterful writing style (hmmmm...), all three. Away we go! A veritable trio of GSO, executed with verve & con brio! Interestingly enough (or is it?) the three concerts attended range from the intimate to the grand, and Dottore Gianni will tackle them not in chronological order, but in order of ensemble size. The first of these, the Spotlight Series, features anywhere from two to seven or eight performers, usually the first chairs from different sections of the GSO, in performances designed to stretch those excellent musicians and to extend the knowledge of the audience, as the works performed are usually less than...usual. On the Ides of March (oh dear! Caesar DID go forth, but apparently got through the day in one piece and with no stab wounds to speak of) I attended the inanely titled "East Side, West Side" which featured the music of Paul Hindemith, Peyton McDonald, and Ludwig von Beethoven. Ah, you'll think, familiar names all...well, except for the man in the middle. Who in the name of all things musical is Peyton McDonald? 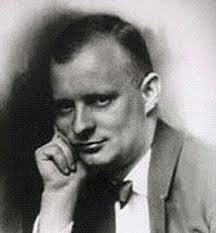 We'll get to that momentarily, but let's look first at the Hindemith, which was the first work performed. himself. 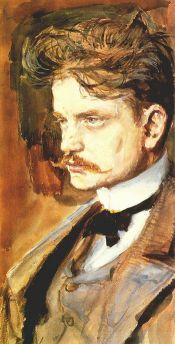 Suffice to say that the early twentieth century German composer wrote in the late romantic style early in his career, moved into expressionism, and ended in a kind of neoclassicism. 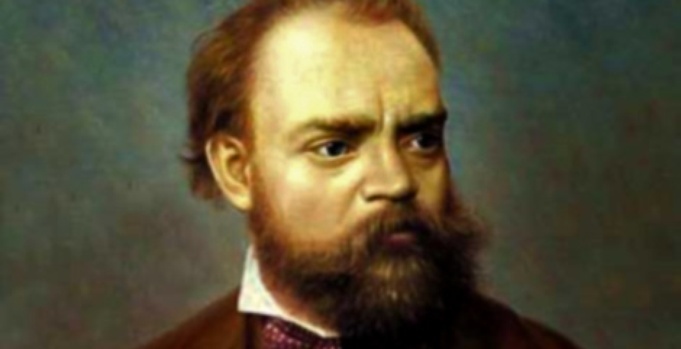 The music we heard was from the last phase, during which he composed much Kammermusik, or chamber music, including the Kleine Kammermusik Wind Quintet, Op. 24, No. 2 that we were treated to. Kleine means little or small, and while I've never seen a reference to any Grosse (or large) Kammermusik by the composer, it stands to reason that there must be some, to contrast with the Kleine, wouldn't you say? Dottore Gianni would. He is corroborated to a point by the article referenced below from a recent Los Angeles Philharmonic concert, which notes that Hindemith's first foray into Kammermusik was a Stravinsky-influenced piece written for a small orchestra that included an accordion and, rather more unusually, a siren!? The writer of the article notes that "having got this bizarre behavior out of his system, [he] relaxed his experimental style considerably..."
In fact I reviewed the GSO's performance of Op. 24 No. 1 in October of 2012 - the post is titled Bloggo Sehr Schnell und Wild for anyone might want to read it (and who wouldn't? admonishes Dottore Gianni) In fact the good doctor and I (thank the gods we have to buy only one seat between us) quite enjoyed it. But no details here...you must see for yourselves! IV. Fast "four" or "quarter"
*sidebar re "Viertel": Dottore Gianni took an extensive break in writing this post in an attempt to discover what exactly "Viertel" means, in terms of musical markings - to no avail. It may be a time signature of sorts, but I leave it to wiser ones than I/the good doctor to identify it. I have commented in earlier blogs that of the winds and the strings of the GSO, I prefer the strings. In fact I have in the past accused the first chair horn of frequent flubbing, but in the recent concert she was dead on target in a difficult piece of music. In fact the playing of the quintet was at least competent and sometimes quite fine. Still, I'm not overly fond of Hindemith in general, and now know that I'm not overly fond (and nor is Dottore Gianni) of Op. 24 No. 2. And that's all there is to be said for that. to us all: Peyton McDonald. Ah! The light of recognition, yes? Yes? YES? Sad to say "NO!" There is nothing wrong with this. the composer/ percussionist wasn't born until the 1970s, and spent a good bit of time in India where he learned "East Indian table drumming and Dhrupad singing." Well, well. As more than one person has aptly stated, "For people who like that sort of thing...that is the sort of thing they like." But! To the music performed! Surely you'll have heard of that! The perennial favorite: "Devil Dance for Flute and Percussion." No bells ringing? Not to worry. Even the expert Dottore Gianni does not recognize it, so why should you? While the first chair flutist is quite accomplished (also a relatively attractive blonde - definite point in her favor) and while the head percussionist is adept at several instruments in his line, particularly the timpani, the music does not sound remotely devilish, nor particularly East Indian, even generally from any part of the East, though the flautist DID remove her shoes for this work (signifying the East???). These concerts as noted above, stretch the performers and I'm certain they enjoy playing in such unusual combinations. Many of these experiments offered by members of the GSO for Dottore Gianni's benefit (also I suppose for the rest of the audience, but the good doctor is somewhat self-absorbed) are really quite interesting, sonorous, adventurous...none of these terms apply, I'm sorry to say, to this musical duo. Sidebar: I wrote above that the title of the concert was less than brilliant. It was the inclusion of the music described just above that provided the impetus for the title "East Side, West Side," but when any fool understands that that phrase refers to the two sides of a city, NEW YORK city in fact, here it is to be understood as Far East (represented by the duet) vs the West. Hmmmm...no major deal, but if they can't think of a title stronger than that, why not label it simply Concert Number 3? this concert, we were treated to his Septet Op. 20 in E-flat major. The seven instruments made use of in this work are violin, viola, cello, double bass, clarinet, bassoon and horn. And the markings are as follows - MUCH more traditional, ergo understandable, than Hindemith's - they would be wouldn't they? and in Italian rather than Deutsch, so any schoolboy should be able to understand them. What? You say you don't understand them??? Well for heaven's sake, most of them are cognates (variazioni? menuetto?? ), but if you're still confused...sorry. Dottore Gianni has already worked his fingers to the bone on the German markings, so please be so kind as to go on line and check it out for yourself, thanks very much. Now, about that Septet! Strong points? The music is so much more pleasing to the cultivated ear of Dottore Gianni (his left ear, on the other hand...ba-da-bing!) than either of the first two pieces, and there is some quite wonderful musicianship, particularly from Xiaoqing Yu, the first chair violinist and concertmaster of the GSO. While he has never been the featured soloist in the two seasons that I have been attending, he takes short solo lines in orchestral pieces that call for them, and I am never disappointed. Anthony Marrotta, the principal clarinetist, played beautifully too. In fact Beethoven often has the clarinet mirror the violin, and vice versa, and between the two musicians they offered really lovely readings of many passages. Anneka Zuehlke-King on the horn was as fine in this piece as she was in the first, the first chair bassoonist Amy Yang also pleasant to hear, and the bass player Timothy Easter was...acceptable. Cut now to the weak points despite the elegant playing of those players, the others were merely adequate. 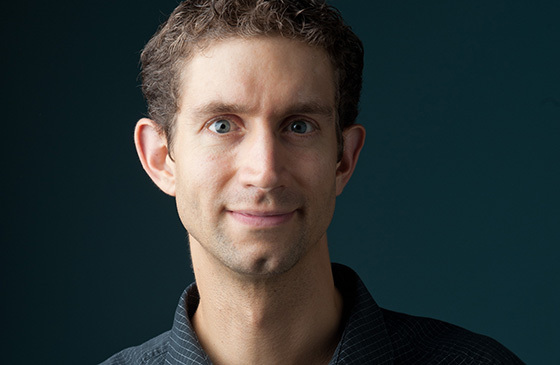 The first chair cellist is on leave this season, and her place is being taken by the second chair (and definite second fiddle) Robert O'Brien. He was not exactly disappointing, but somewhat soul-less in his bowing. Furthermore, this long-haired, pony-tailed cellist happens to be the partner (in life) of Katie Dey, the first chair viola, on whom Dottore Gianni admittedly developed a crush early in his first season attending GSO concerts for her wild auburn curls and her dramatic movements while playing. Alas, to paraphrase Shakespeare's Richard III, I had her, but I did not keep her long! Gradually as my ear became more attuned, her small ensemble work particularly seemed not up to par with the other prime performers. 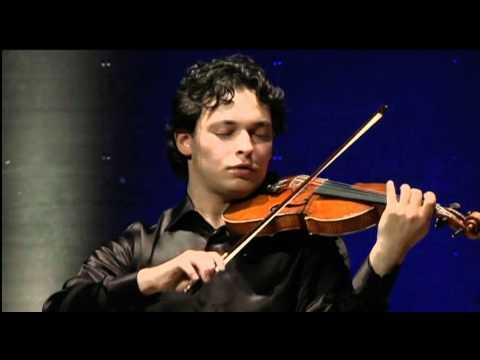 For example in this piece there is some beautiful interweaving between the violin and viola. Xiaoqing Yu more than did his part, but Ms Dey, who retained her dramatic swaying, was not as fine in her bowing, and she did not seem up to Yu's level of playing. Some of you are thinking that this singling out of the cellist/violist/loving couple is merely an fit of jealousy on Dottore Gianni's part. BUT! If two of the players are only adequate, and one just acceptable, while the other four really shine, a small piece such as this septet suffers. The music seems fine, but one begins to feel a lack of cohesion, a loss of balance in the overall effect of the music. So, while I enjoyed this more than the first two pieces in this intimate concert, I went away with the feeling that, to paraphrase another play of the English Renaissance, 'tis pity it's a bore. 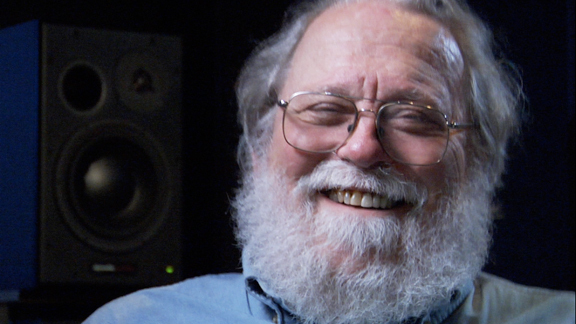 Quick after-note: Peter Schickele (aka PDQ Bach) parodied the septet with PDQ Bach's Schleptet in E-flat Major, S.o. but replaces the clarinet and double base with flute and oboe, according to Wikipedia, which is nearly as all-knowing as Dottore Gianni! The second of two concerts in this three-for-the-price-of-one review was part of the GSO's Chamber Orchestra series, which consists of many more musicians than appear in the Spotlight Series, but whereas the full orchestra comes in at as many as 60 or 70 musicians, the chamber orchestra consists of perhaps 30 to at most 40. These concerts I generally very much enjoy. They are held in the Gunter Theatre, the smaller of the Peace Center's two venues, a place I find much more comfortable than the main concert hall/theatre. Alas, despite the charm of the hall, another rather insipid concert title greeted the audience members when they opened their programs: "Composers are Smiling." After pondering this dull phrase briefly it dawned on Dottore Gianni that the music to be performed in this concert was considered "light" by the GSO powers-that-be, compared to other works the orchestra has presented. Ah! And ho-hum. 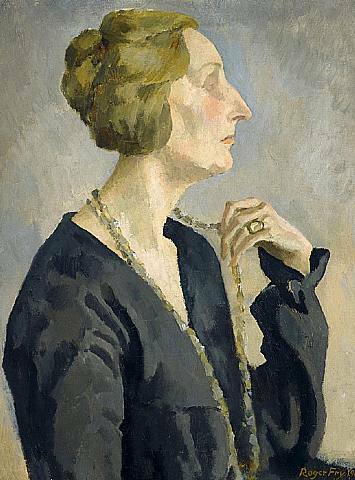 unusual piece of music accompanied by words was concocted by the eccentric poetess Dame Edith Sitwell (1887-1964) and composer William Walton (1902-1983). The story of its creation and its authors is interesting - far more interesting than the piece itself, in the opinion of Dottore Gianni. I've read a good bit about this, but I'll stick primarily to the program notes for information. 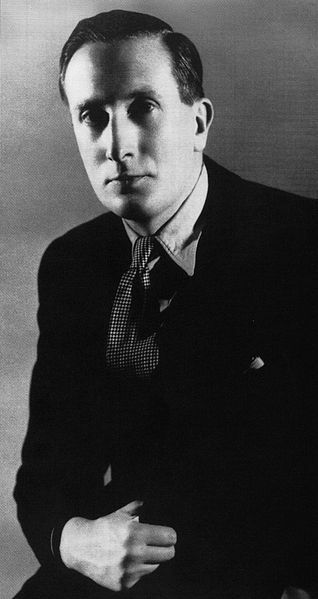 Walton, of whom Dottore Gianni first knew as the composer to the stirring score for Laurence Olivier's film version of Shakespeare's Henry V, had been an angel-voiced chorister in Oxford as a boy, began to compose music at age twelve, and eventually became a student at Oxford. Alas he did not do as well as that prestigious school would have liked on certain exams and was sent down. He was rescued, however, by the Sitwells, who provided him with both a home and a cultural education. Edith, interested in the relationship/distinction between poetry and music, crafted poems for which Walton composed music, and on 24 January 1922 Façade was given its premiere performance in the Sitwell home (Dottore Gianni can only assume that all the patrons were well-seated ba-da-bing! #2). The author sat behind a curtain and, using a megaphone, chanted the words as the musicians played Walton's music. Never a dull moment at the Sitwells'! later at Aeolian Hall, London, with Sitwell again reciting while Walton conducted the ensemble (flute, clarinet bass clarinet, alto saxophone, trumpet, cello and percussion). Among the audience members were Evelyn Waugh, Virginia Woolf and Noel Coward, the last of whom, infuriated by it all, stalked out theatrically in the middle of the performance. Most of the professional critics were as offended as the multi-talented Coward. Among the comments: "relentless cacophony" and "naggingly memorable." One critic, however, disagreed with the majority, writing that "The audience was at first inclined to treat the whole thing as an absurd joke, but there is always a surprisingly serious element to Miss Sitwell's poetry and Walton's music...which soon induced the audience to listen with breathless attention." Not ALL were perplexed by the entertainment, however. I must admit I got quite a kick out of two intellectual old biddies in front of me, who had printed out the poems and followed Façade with many smiles and noddings, as if they were the only ones in the hall who really grasped the meaning of the seemingly endless 45 minute "entertainment." much larger ensemble of musicians than had Façade, was well performed and allowed the audience to smile as well as the composers. 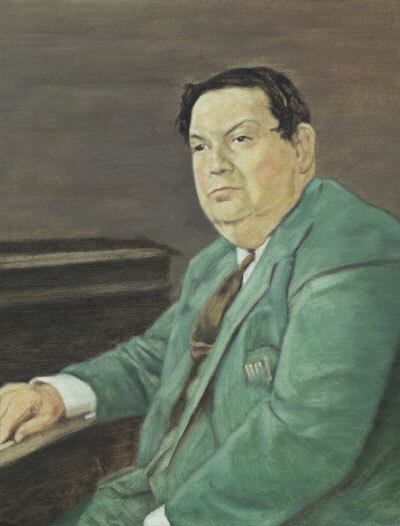 Part II began with one of Dottore Gianni's favorite musical works of the early 1920s, Le Boeuf sur le Toit (translated, more or less, the Ox (or Bull) on the Roof) by Darius Milhaud (1892-1974), one member of the avant-garde group of composers known as Les Six. The era after the Great War abounded in feverish artistic experimentation, some of which, including the Futurist movement, pre-dated the War; and one of which, the best known and least ordinary of the era, DADA, was born during the conflict. After the War Paris retained its reputation as the center of avant-garde artistic activity, and it was then and there that DADA morphed into Surrealism. So of course one expects wild artistic experiments, and Le Boeuf was one of these. Milhaud had originally written the music as a score for a Charlie Chaplin film, but one of the greatest surrealists of them all, Jean Cocteau, counseled him to turn it into a ballet instead. 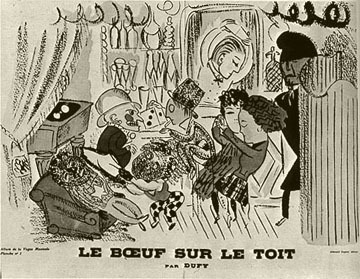 Cocteau also wrote a scenario for it, and the sets were designed by Raoul Dufy. It was performed at the Theatre du Champs-Elysée, which had premiered Stravinsky's Rite of Spring several years before. The music is inspired by Brazil, to which country Milhaud had been assigned for two years by the French Government, on embassy duty. Cocteau set the play in an American bar during prohibition, and into it come characters that include "a bookmaker, a dwarf, a boxer, a woman dressed in men's clothing, a policeman who is decapitated by the blades of an overhead fan before he is revived." The performers were the Fratellini family, stars of the Medrano Circus. 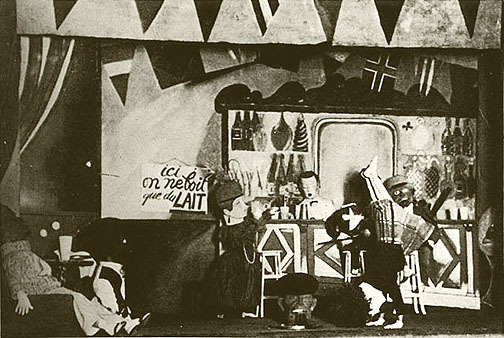 The spirit of the ballet is similar to earlier surrealist dramatic works including Apollinaire's The Breasts of Tiresias, the very first surrealist performance piece, in fact sub-titled un drame surrealiste, and Parade, for which Cocteau also created a scenario, with music by Eric Satie, featuring sets by Picasso and dancing by the Ballets Russes. The music for Le Boeuf is in the esteemed opinion of Dottore Gianni, brilliant and great fun. Its exuberant spirit was served well by Maestro Tchivzhel and the GSO, which delivered a performance filled with gusto (particularly in the many repetitions of the main theme) and joy. A brief aside: With such a title it would be difficult to resist creating a restaurant of that name in Paris, and sure enough there is one, which began life as a bar/cabaret frequented by Cocteau and his pals. breathing down his neck amazes Dottore Gianni. In this period Stalin was cracking down on "decadent Western" styles, favoring simple Russian folk tunes. If a peasant couldn't appreciate a piece of music, thought Uncle Joe, it should not be composed. Not all artists (including visual and theatrical artists) thrived in this time, in fact some committed suicide and others "disappeared." 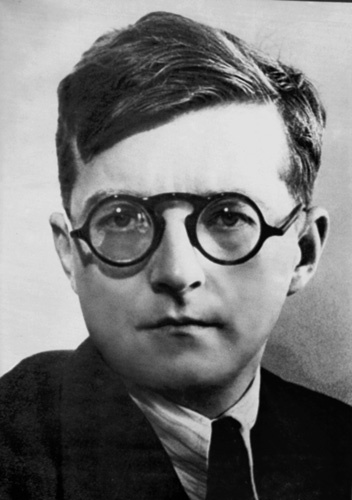 But Shostakovich somehow learned to be an accomplished tightrope walker, so to speak, and he managed quite well in this instance. In the first movement the music is centered on the trumpet, saxophone and violin, though it concludes with a glockenspiel. The second movement showcases brass and violin, but also a xylophone, and the third includes a Hawaiian guitar. The Jazz Suite was well executed by the GSO ensemble, and all in all, was great fun! The shortest work of the concert's second part, "The Typewriter" by Leroy Anderson, was next on the bill, and was executed in quite a clever manner. The percussionist, a wiry and clever-looking young woman who had entertained us on the xylophone in the Shostakovich, was now summoned downstage to a chair next to the Maestro, and an old fashioned black typewriter was brought in and placed in front of her. And off she went typing in time as the orchestra played the melody behind her. A quick smirk or flourish of the head by the excellent percussionist added to the effect. the rescue with a brief bio. Anderson (1908-1975) was a native of Massachusetts, studied piano at the New England Conservatory of Music, and moved to undergraduate work at Harvard in music, stayed at Harvard for his Master of Arts in Music, and continued at Harvard, working towards a PhD not in music but in German and Scandinavian Languages. 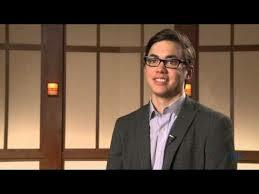 This polyglot became fluent in several other languages as well. Dottore Gianni is impressed. Boston Pops, who asked him for original pieces. Fiedler received these happily and played them well. Anderson did not stop writing music even during World War II where he served in Iceland as a linguist, translating and interpreting for U.S. counterintelligence and at the Pentagon as Chief of the Scandinavian Desk of Military Intelligence there. Dottore Gianni, a former Russian linguist for USAF, is extremely impressed! A white-tie performance of "The Typewriter"
on TV when he was growing up in the 1950s. In addition to being a catchy tune it offers an great visual (the typewriter) as well. His music was performed regularly not just by the Boston Pops but by many, many other orchestras, school bands and such all over the U.S. and beyond. At Boston Pops concerts televised in the early days of PBS, Anderson sometimes conducted his own work, while Fiedler sat casually on the side. 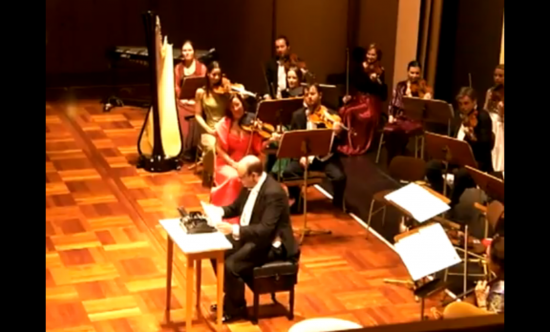 When it came time to play "The Typewriter," Fiedler rose, donned a green eyeshade, rolled up his sleeves and did typewriter duty while Anderson led the orchestra. Anderson died of cancer in 1975. He received many honors, including a star on the Hollywood Walk of Fame and induction to the Songwriters Hall of Fame. But no recognition in the program of the Greenville Symphony Orchestra. tsk, tsk! scolds Dottore Gianni! "Tick-a-tick-a, tick-a-tick-a, tick-a-tick-a, tick-a-tick-a, tick-a-tick-a, tick-a-tick-a, ticka- tick - PING!" sez me. 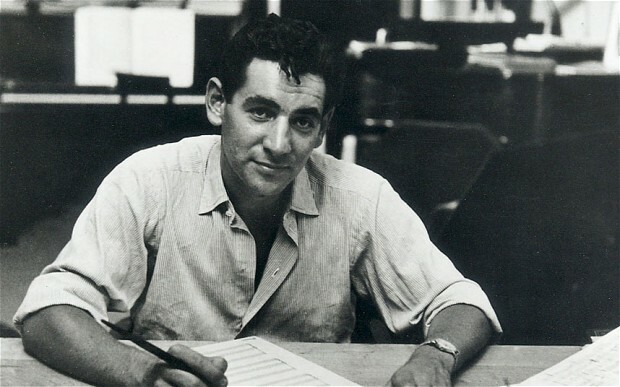 Last on the program, but definitely not least, was a piece by Leonard Bernstein called “Prelude, Fugue and Riffs.” First let me (seconded by Dottore Gianni) state that I love Leonard Bernstein. I think he is one of the great American composers. His musicals alone, including On the Town, Candide, WEST SIDE STORY, earn him this honor, but he wrote much more. I love him so ardently that I will not relate his biography here. The post is long already, and would become book-size if I tried. I'm not ruling it out for some other post, however. The music was Bernstein's answer to a request by Woody Herman in 1949. 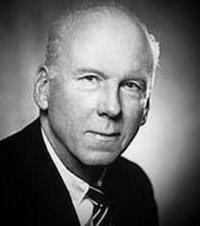 My younger readers may not even know him, but he was a clarinetist who led a big band known as "the Herd." Unfortunately Herman died before Bernstein finished it, and it was not performed until 1955 on Bernstein's own television show, called Omnibus, which I also loved. And in place of Woody Herman and the Herd, Bernstein brought in the great Benny Goodman to play the clarinet solo. The musicians in this piece look more like a big band than a symphony orchestra. There is the rhythm section, a piano, bass and drums, of course. And there are five trumpeters as well as five saxophonists. Also a solo clarinet, played at the GSO concert by the fine Anthony Marotta, whom I've already praised in this post. It was terrific! And in the "riffs" section - know what a riff is? a short musical phrase, repeated frequently; also the name of one of the lead characters in West Side Story - I realized that the orchestral portions of the musical had been gestating in the brain of Leonard Bernstein for some time, at least since 1949, for I heard music very similar to what would soon become parts of "The Rumble" and "The Quintet" in that great American musical. Dottore Gianni left the Gunter Theatre...smiling! About the last of the three concerts I WILL try consciously to be brief. Because of the awful weather in January for most of the country, even extending into the Upcountry Carolinas, the concert scheduled for late January had to be postponed. The soloist was stranded and unable to fly to Greenville to perform. So the concert was re-scheduled for late March. Sad to say, not only was the pianist unavailable for the revised date, but at least two first chairs in the GSO were unable to play, having also booked other gigs. This concert, in the main concert hall, is part of the Masterpiece Series, the most formal of the three series offered by the GSO. I had been looking forward to this particular concert very much, because it consisted of work by two of my favorite late Romantic composers. Jean Sibelius and Antonin Dvořak. So I was almost impatient for late March to arrive, so I could hear, in the first part of the program, Finlandia and the Violin Concerto by the former and in the second, Symphony No. 5 of the latter. I'll confess, I was somewhat disappointed. The replacement soloist in the violin concerto, Yevgeny Kutik, is a young (just under 30 years old) Russian-American, but older than Benjamin Beilman (a mere 24 years old), who was to have played the piece. While I have no way to compare the two, I can't help but think that Beilman (winner of all sorts of prestigious musical awards who made his debut at Carnegie Hall this season) was a better choice than Kutik. There is no question that Kutik can play well, but the violin needs to dominate this very difficult concerto, and he was unable to make that happen. The orchestra too seemed less than their usual selves, possibly in part because of the two missing first chairs. I also blame Maestro Tchivzhel. I had a short talk with a retired music teacher who happened to be in my lifelong learning class earlier this year. He too subscribes to the GSO, and very much enjoys it, though he said he did not always care for Tchivzhel's artistic choices. He wasn't able to go into detail, but a slight doubt in my own mind seemed to grow after this conversation. can't fault that - Leonard Bernstein on the podium performed his way through much of the music conducted, and I never minded that), and in especially dramatic passages written by Romantic composers for the most part. He tends towards this especially when it comes to the brass section of the GSO, and if you know your Sibelius and your Dvořak, you know they love to feature brass. During the concert I first noticed a stridency in the brass during the opening piece, the wonderful Finlandia. At moments it seemed as if it was being played like a Souza march, and that in my opinion (and quite naturally also in Dottore Gianni's) is out of place in Sibelius. Dramatic, certainly. Melodramatic, no. presto passages and brazen brass seemed to dominate this relatively light (for the often dark-tending Dvořak) composition that tends toward, to quote the program notes, "a pleasant pastoral landscape" and "sunny melodies." Especially marching-band-like seemed the last movement, the final measures of which, as described again in the program notes admittedly erupt into "a blaze of affirmation with trumpet and trombone fanfares." But a blaze of affirmation need not be Sousa-esque and brazen. Such a fiery finish requires a tone of dignified triumph. Such was not the case here, and the good doctor's disappointment was palpable as he hurried home to cocktail hour. 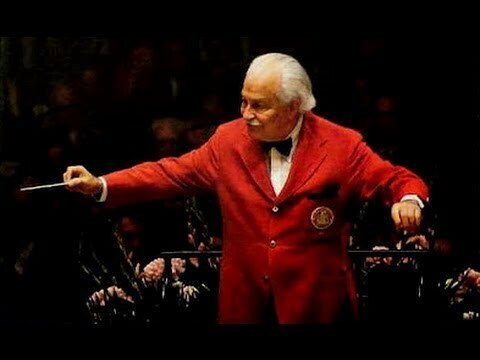 Is Dottore Gianni falling out of love with Maestro Tchivzhel's style? Stay tuned, as this coming weekend he takes on Tchaikovsky, a favorite of his and a composer that in the past he has performed brilliantly, according to Dottore Gianni. The truth will out, and very soon!